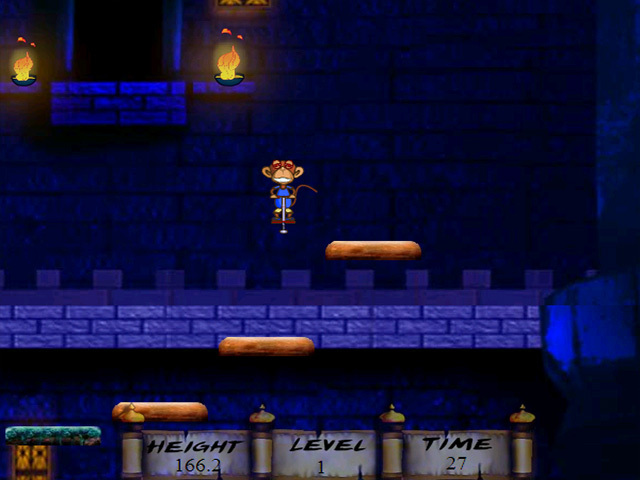 Help Jumpin' Gary, the world's foremost pogo stick champion, hop up all 8 floors of the mystic tower in this funny online game.Pogo to the top of the mystic tower.Jumpin' Gary, the world's foremost pogo stick champion, faces his toughest challenge yet: he must hop up all 8 floors of the mystic tower using only his trusty pogo stick. 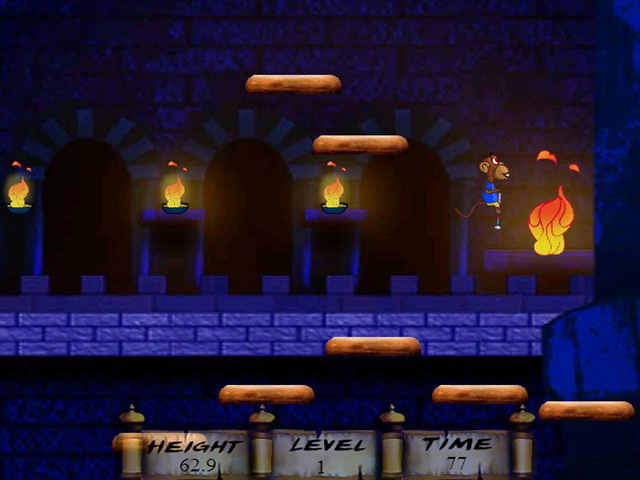 Help him leap his way to the top in this funny online game. 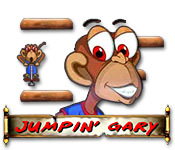 Use the arrow keys to make Gary jump left or right. 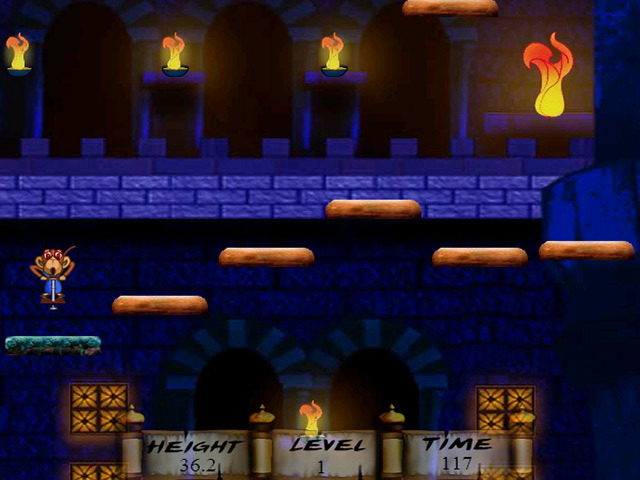 Climb each floor within the time limit or you will face a fiery surprise from the evil wizard in the tower.